NSA is the leading source for community, education and entrepreneurial business knowledge needed to be successful in the speaking profession. 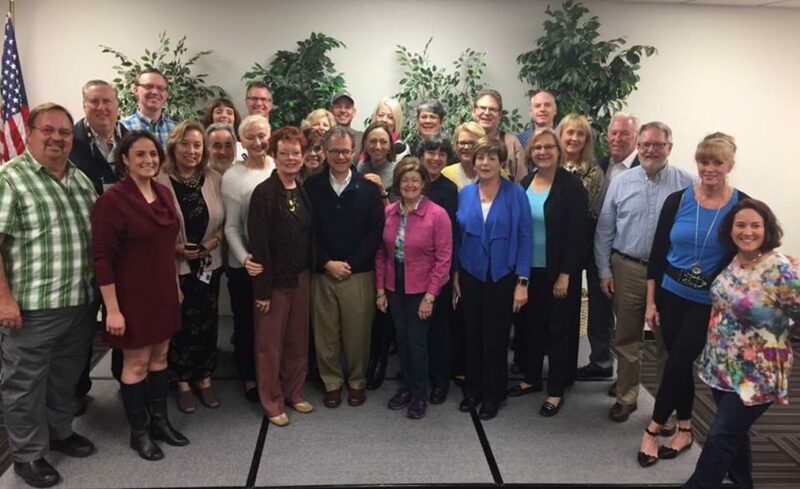 NSA chapters are a great place to meet – or reconnect with – peers in your local area. 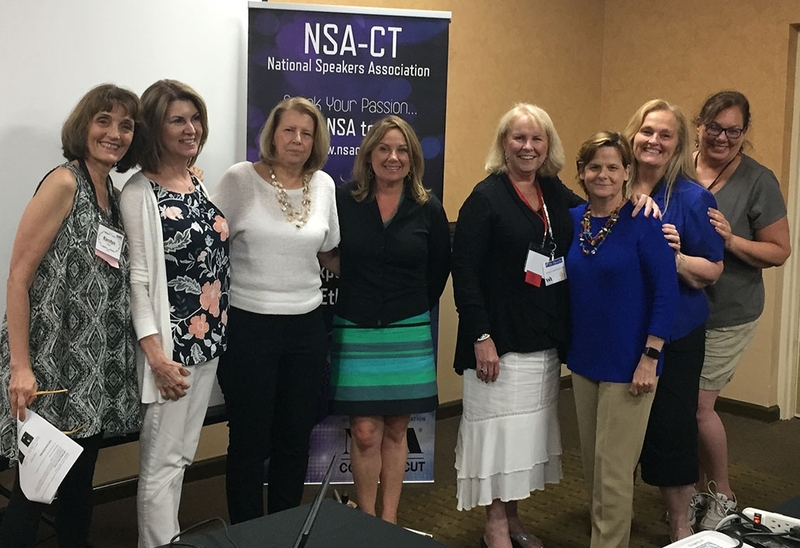 NSA Chapters grow and empower members through sharing, learning, and mentoring. Getting involved with the chapter near you is the best way to connect with, share with, and learn from fellow speakers. Chapter Leadership Training at NSA headquarters in Phoenix. Incoming NSA-CT President, Randye Kaye is peeking out in back row 4th from left! 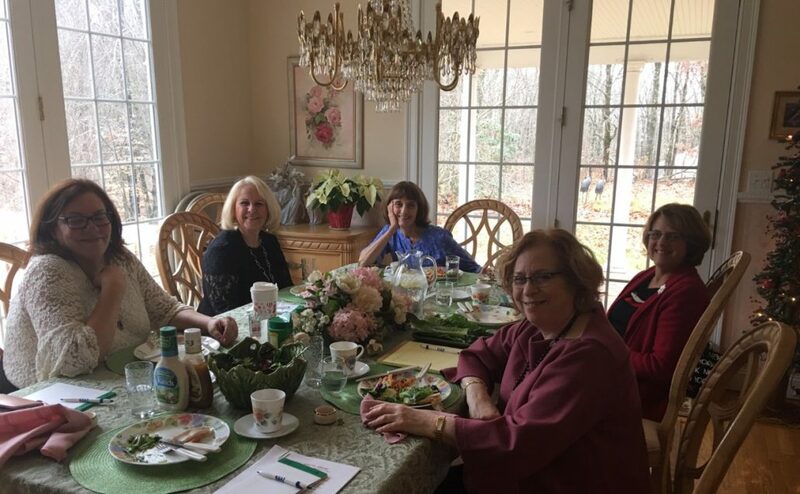 Hosted by Lisa Lelas at her home in Guilford, CT.
I’m delighted to serve as your NSA-CT Chapter President for 2018-19. Our goal for this year is reflected in our theme: Growing Together for Continued Success. Come join us, get involved, and find all three! Last year, our members (both Professional and Speakers’ Academy) and guests heard exciting ideas, shared creative tips, and had spirited conversations that lifted each and every one of us. Let’s do it again! 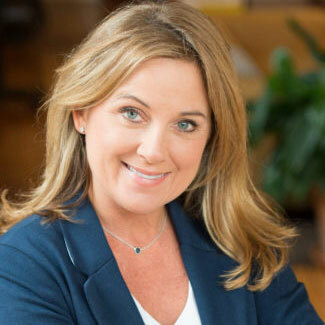 Speakers Academy Member – our Academy takes you step-by-step into the world of Professional Speakers, with 10 modules delivered over 4 Saturdays (one each in February, March, April and May at a lovely retreat center in Madison. Tuition includes NSA-CT membership! Guest – Attend NSA-CT meetings whenever you like, at the Guest rate ($40 per meeting, includes dinner). Guests range from the “just curious” to those serious about taking the step to professional speaking. We’ll help you get there. • So you wanna do a TED/TEDX talk? Come join us and get your share! You can contact us at nsaconnecticut@gmail.com. Right now, you can: You can join our Facebook group, follow us on Twitter @NSAConnecticut, and join our mailing list. Can’t wait to see you! Growing Together for Continued Success. We do this at our meetings, fireside chats and more. June 13th, 2019 – SASS talks and celebration! 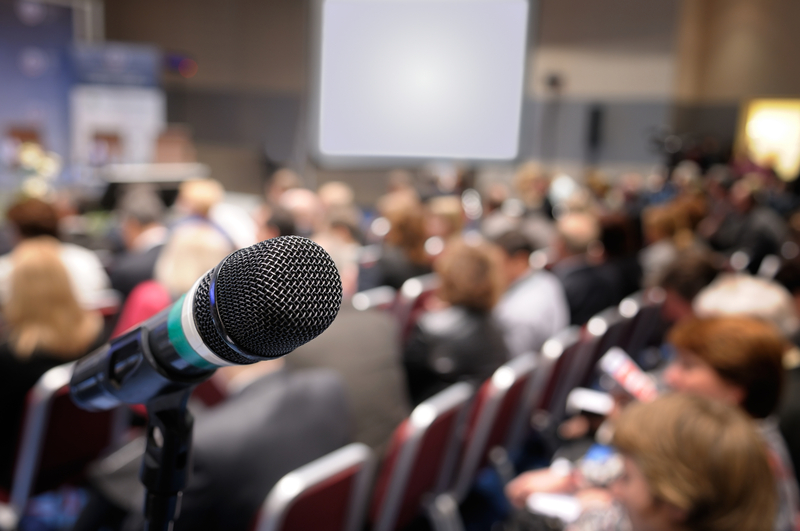 Speaker Meetings will take place the second Thursday evening of each month Sept 2018-June 2019 (6:30-8:30 PM) at the Best Western Hotel, 201 Washington Avenue, North Haven, CT. For a complete listing of all upcoming NSA-CT events, visit the Events Page. The Abby Marks Beale Award (named after NSA-CT founder) was selected & presented by past president, Randye Kaye, to to Patti Urban, for always stepping up to help at meetings, even while handling personal challenges. Congratulations Patti! CONGRATULATIONS to our NSA-CT Chapter Member of the Year 2018-19. Aside from being appointed the chapter’s 16th President, Susan was also bestowed the highest honor as this year’s recipient of the NSA MEMBER OF THE YEAR award! Stepping up, first as president-elect, and going well above and beyond her duties, Susan will be recognized at the National NSA convention in Dallas. She helped revise the process for our meetings, making everything go much more smoothly, booked some of our most popular speakers for this (and next) year, hosted “Good News” at our chapter meetings, and her list of service goes on and on! 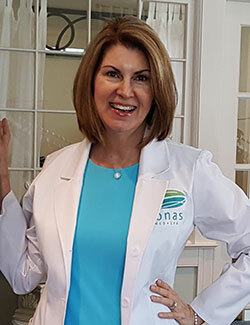 Susan’s programs include the acclaimed “Leadership Lessons from the Emergency Room” and “How to Turn Set-Backs into Success” from her book “Tough Cookies Don’t Crumble”. As an active member of NSA-CT I rarely miss a monthly meeting. In the beginning I was in awe that I met regularly with folks who had such well established speaking careers and realized how willingly they shared their wisdom and experience. Later, over the years I have been involved because I am so aware we are always learning and growing and this is such a rich group to learn from. Friendships have developed and for me the special “fireside chat” meetings for members only have allowed those friendships to deepen while also teaching so much more in-depth practicaltools for publishing, marketing and so on. The NSA family and cooperative approaches are a gift. Some people ask “why does a speaker need to belong to a professional organization?” Each year I ask that same question when I am faced with renewal to NSA. NSA is like the encyclopedia for professional speakers. What ever you need to know you can find at least a place to start. You are not on your own. You can tap into the nearly limitless knowledge resources while also tapping into the nearly infinite relationships that demonstrate care, compassion, and love for you. This is why I stay a member. I know I am not alone. Joining the National Speakers Association was by far the best thing I ever did to kick-start my professional career! 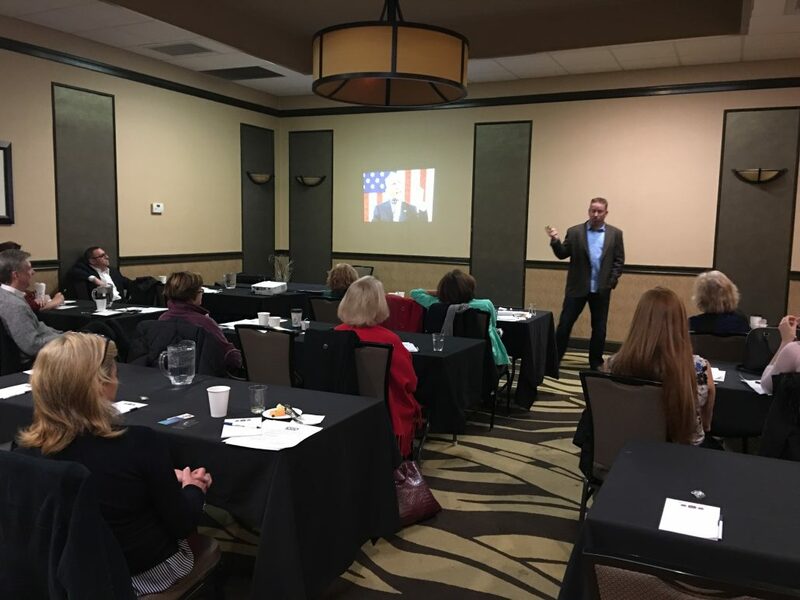 Being involved in our local chapter has been a tremendous asset, gaining wisdom from guest presenters each month and garnering life long friendships from fellow CT speakers! As a past president and current board member, I can honestly say that this small but mighty chapter continually provides incredible value to all aspiring & professional speakers! Topic: Lights, camera, now what? Do you turn into a different person when the red light goes on? You might be perfectly comfortable speaking to a large crowd…but does your authentic self show up and shine through when you hit record? In this workshop, you’ll learn tips & tricks that will help you and your message become more powerful. You are invited to bring your speech or idea for a video that you’d like to do. Each all access member gets ONE free fireside chat . If you’ve already taken advantage of that, or you are a basic member please choose the $25 option.